Rachel Berry! My favorite character! Congrats Abbi you are now a Artie Rank! Just fill this form out! 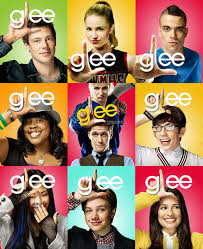 Favourite glee Actor or Actress? : kurt!!! i am gonna add some things soon so i can become a rachel- because i am rachel!!! Ok here are my things so that my rank can go up from Tina to Rachel!!! Why do I want to be Rachel??? Because my real name is Rachel, she is amazing at singing (I like to think I am too) and she is sooo pretty!!! OK- here is a pic of my fave character, Kurt!!! Just look at my avvie for another!!! here is my picture of the glee cast- they are singing FIND ME SOMEBODY TO LURVE! WOW! Welcome to the Glee club Rachel! You are now a rachel rank congrats! Welcome Bethy-Boo..x to the Glee club! A picture of the glee cast! thank you!!! I am a rachel like me!!! rachel is sooo good at singing!! !